Let's Begin: Publishing and Transylvania 1,000,000 books to Go! The one million book challenge officially kicks off today. This challenge is simple: I intend to sell 1,000,000 books in seven years. 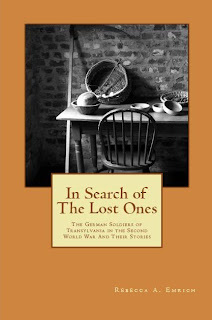 I am very excited that In Search of The Lost Ones is included in this list. You can find more information on Things About Transylvania One Million Book Challenge. I want to make sure people know about Transylvania: Where it is and how much people need to know about it.